just don't try to mold it out of plastic my friend! Now, I need to get it towed home from where I've been working on it, because they won't let me work on it there anymore. It's still not running, though, and I don't have enough money to rent a trailer. This is a predicament. I thought you guys don't have rust down there... Even my clutch box isn't that rusty! The clutch box came off a car from Kentucky. I don't know the full story, but I needed one on account of my car is automatic, and the only person who would sell me one was from that way. The existing brake pedal box on the car is in much better shape than this box was. 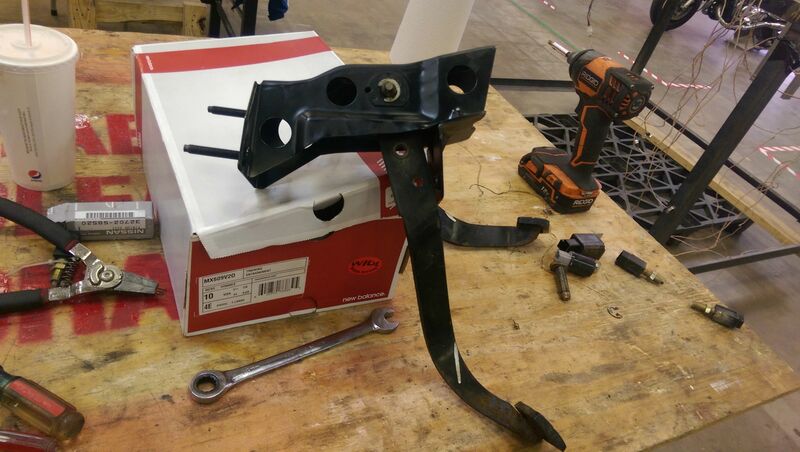 By the by, for future reference, automatic and manual S12 brake pedal arms are the same, the only difference between them is the metal foot plate welded on the end. But, it was good to drive an S again. I missed it. 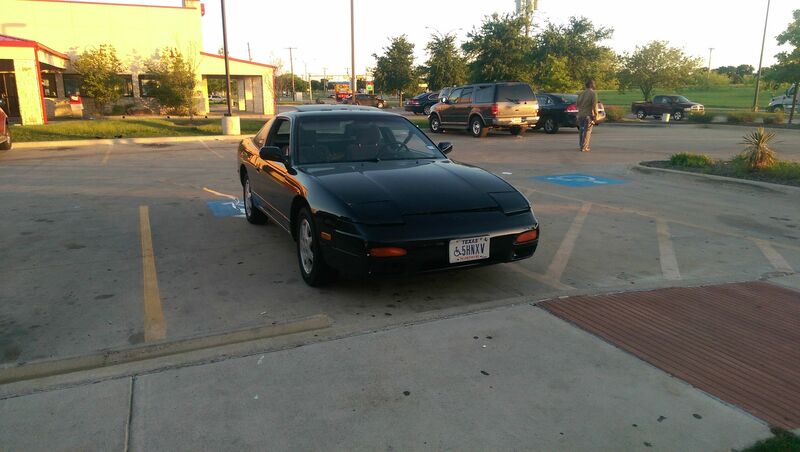 Nice S13, i miss mine . Any plans for the S13? Big plans. Turbocharging plans. But it's admittedly hard to feel that way when it's running after so long not being able to drive it. This is the only S13 I've ever seen in person without a cracked dashboard and tons of ridiculous cheapskate mods. All I've done to this car so far is replace the factory stereo system with some not-25-year-old Pioneer stuff I had lying around, swapped an S14 KA in (because the original engine seized up within 2 miles me owning it), and I deleted the emissions equipment as part of my vacuum simplification. (Which is ultimately what got it back on the road) I also painted it, I suppose, but my surface prep wasn't the best, so you can see scratches under the paint at about 5 feet away, and some of the painted plastics are exhibiting bubbling and dimpling, which is concerning. Also, the front bumper spent 6 months off the car, and I believe it to be warped. (You can see next to the driver headlight, where it doesn't sit flush. It appears to all be mounted correctly) I intend to strip it back down to bare metal eventually, and repaint it properly in a climate controlled shop, rather than in my driveway. No matter how professional the rest of your equipment is, it's hard to get professional results in a driveway. At the moment, it's basically stock, and there is a certain magic to that. But this does kind of throw a wrench into my S12 plans. I need to compensate for that by making more money. Somehow. I love me some chicken wangs! 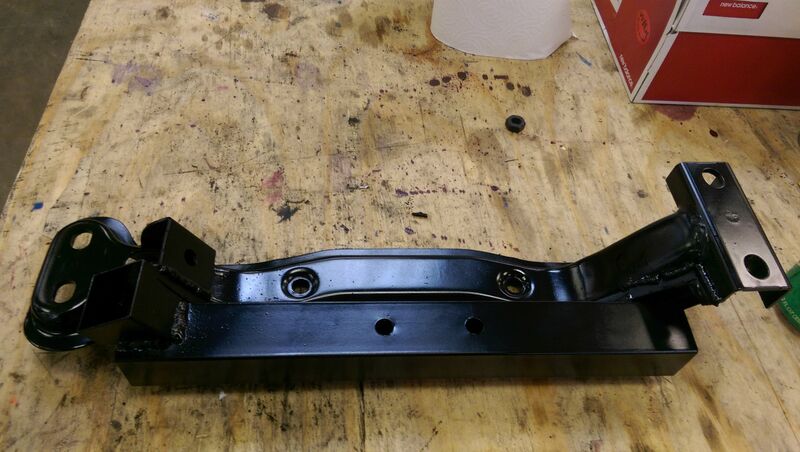 I'm confused, most people have to make some sort of custom trans crossmember when swapping S13 stuff into their S12. I bought an S13 with a CA18DET and the stock crossmember bolted in just fine on my S12. Your car is a mk1.5, probably has a Mk2 floorpan. My car is a Mk1, originally automatic even. Well, a quick pass through the blasting cabinet and it cleaned up nicely. 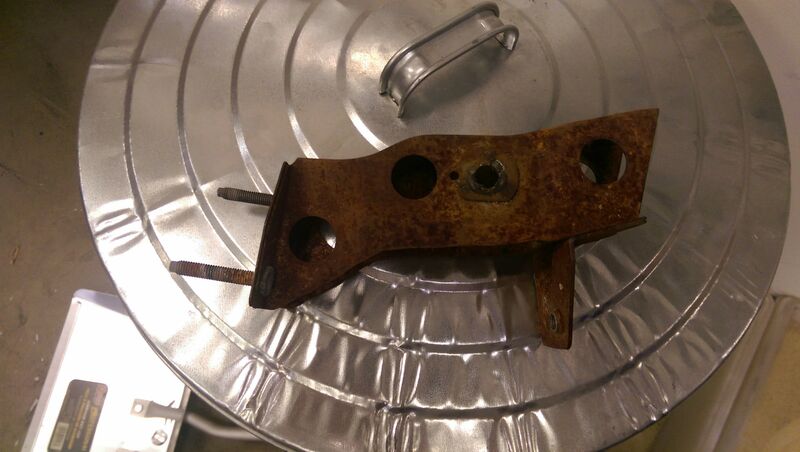 It's in the car now, I just haven't had a chance to cut the brake pedal short. Among other things. Dope. Glad to see your dedication beat out the tribulations on this project. Mission accomplished! Love to see any S12 rolling in the streets! Still got those steelies if your still interested. Knew if I stuck around here long enough you would be seen driving an S12! BTW do you miss the CA yet? I wasn't even driving- that's Ryan. He's actually the owner now. I'm just the technician. 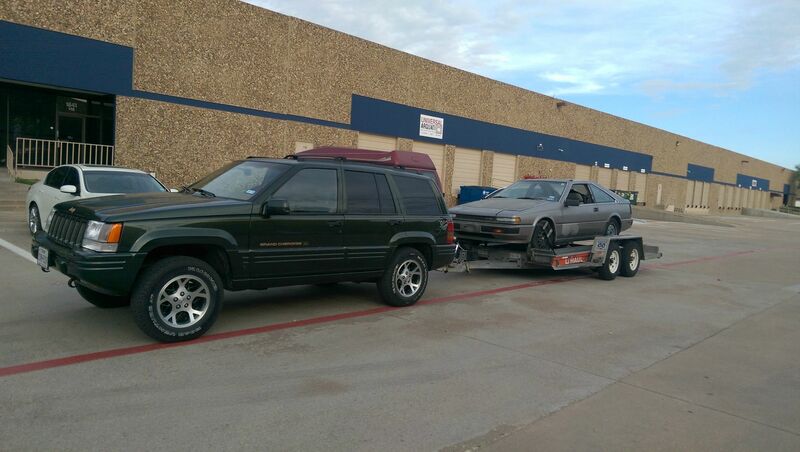 What with the S13, the Jeep, and plans for a new daily, I don't have time, money, or space for the S12. So the torch has been passed, kind of. Ryan's totally out of his depth when it comes to this stuff, but he's really interested in the car, and he's learning. During all of this, I'm going to be the one who turns idea into running car, and he does have some ideas, believe you me. This thread might not update too frequently, but when it does, expect cool stuff I guess. Still, it doesn't feel like any less of a victory to have this car running. It's been a long time coming. This is the first time I've gotten an S12 started since I bought my first car, back in 2011. Feels good, man. Red, hell no. I've got the block sitting in my garage, waiting to be turned into the worst coffee table ever. Eventually. I've got a line on some SE wheels and may swap them in place of my steelies but it may be September before it happens. I'll have moved to TX by then. We've got time on the wheel front. Gotta get the exhaust and starter sorted before that becomes a problem. We eagerly await your arrival in the Lone Star state, even if it is just in Wichita Falls.